Kartik Swami is a temple dedicated to God Kartikeya, elder son of Lord Shiva and is positioned at a high altitude amidst the serene beauty of Himalayas in the Gaharwal region, in the Rudraprayag district of Uttarakhand. Kartik Swami is considered as “God for War and Victory” and is known as Murugan Swami in Tamil Nadu, Subramanya in Andhra Pradesh and Karnataka and Kartikeya in Bengal. Kartik temple is situated at the end of a narrow ridge with a deep valley and is perched at a high altitude of 3,050mts above sea level. It doles our wonderful view to Himalayan range and Nature’s sheen that is entirely impeccable. 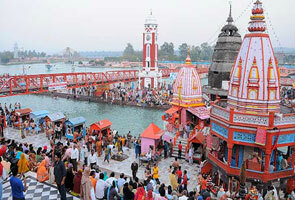 The temple encompasses an idol of Lord Kartik Swami carved on a marble rock. Kartik Swami is also famous for its trekking path that leads to dense forest and goes through ridges where travelers get a chance to explore fascinating sunrise and amazing sunset. 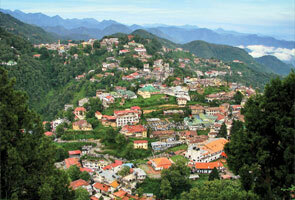 This place is also renowned for its natural beauty, uninterrupted views of Himalayan range and bird sights. There are numerous snow laden peaks that with Bandar punch in the west along with several others as in Dome, Meru, Kedarnath, Chaukhambha peak, Neelkanth, Trishul, Nanda Ghunti and Nanda Devi group of peaks. The trekking path is full of rhododendron in the month of March and April. During August and September it is entirely green here. Whereas in the month of November, December and January the place remains clear and covered with snow with majestic view of snow capped Himalayan ranges to add to your mesmerizing experience. There are two festivals celebrated in Kartik Swami namely-Kartik Poornima in the month of November and other is 11 days Kalash Yatra in the month of June. Path to Kartik Swami comprises a 3kms simple trek from Kanakchauri village that is on the route to Rudraprayag-Pokhri which is 40kms away from Rudraprayag. Here is a list different places and their road distance to Kanak Chauri. From Kanak Chauri one has to undergo trekking of 3kms distance to reach Kartik Swami. In order to reach Kartik Swami you ought to follow a simple path. Just take a jeep from Rudraprayg to Kanak Chauri. 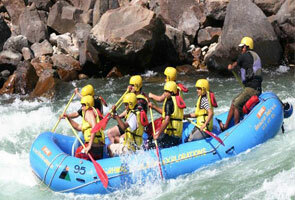 Shared jeeps are to and from on this route and is a cheapest and the best option to avail. You can also find some buses travelling to Khanakchauri via Rudraprayag and Pokhri, but its timings may be quite odd and uncomfortable for many. It takes less than 2 hrs to reach Kanakchauri. The entire road journey is blessed with nature’s gift and doles out pleasant views to captivating sceneries of Himalayas perched amid emerald settings of nature. Travelers coming from Chopta, Ukhimath and Kedarnath one can find shared jeep from Chandrapuri to reach Kanakchauri and thereafter a trekking distance of 3kms ought to follow to Kartik Swami temple. 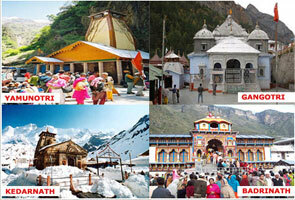 The roads from Kanakchauri smoothly connect to Kedarnath, Badrnath and Chopta, so one can visit these places too. Kartik Swami is at a trekking distance of 3kms to the summit of the mountain of 3,000mts above sea level so the only resting place before Kartik Swami temple is Kanak Chauri. For comfortable and economic stay at Kanak Chauri, there is only one eco-lodge, Mayadeep Holiday Home. If offers all modern amenities and close look to Gaharwal village, culture and lifestyle. For peaceful and stress-free stays, this place is the best to stop by. You can also choose to stay at the Ashram, alongside of the Temple which is managed by local priest. But you have to carry materials as in flour, rice, tea and other edibles.